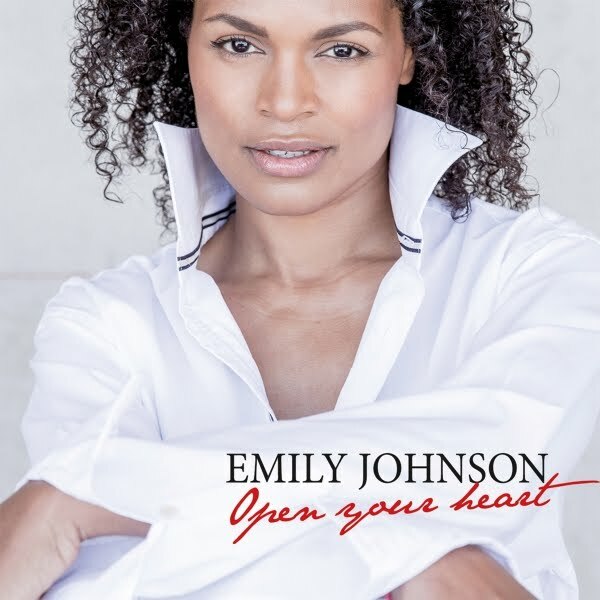 San Rafael, CA - Sometimes known as “The Lady of Heart,” EMILY JOHNSON is a Bulgarian-born Nigerian singer, songwriter, and composer. Having performed around the world for many years, she is releasing OPEN YOUR HEART, her debut EP, on May 11, 2018, with the help of Tarpan Records in the United States. This EP was produced by NARADA MICHAEL WALDEN and features 4 original songs. “Open your heart,” EMILY JOHNSON sings on her soon to be released debut EP of the same name. To her this statement is more than words; it is a way of life. On this release of original songs, she creates her art with something beyond passion, giving herself to her audience with a great generosity, energy, and sincerity. Emily brings others together to ignore prejudices, erase borders, and overcome difficulties. She shares with them a simple pleasure which is to SING! Emily has been fortunate to work with some music industry greats, including the incredible guitarist John McLaughlin who invited her on stage for an emotional performance of “Redemption Song.” Another is the world famous, Grammy Award-winning American producer NARADA MICHAEL WALDEN (Whitney Houston, Mariah Carey, Aretha Franklin), who graciously opened the doors of his Tarpan Studios to produce OPEN YOUR HEART. Emily appreciates this immense compliment coming from an artist with such a career. “He is more than a musician; John McLaughlin is a Legend and a great friend and I am so blessed to know him!” she says. They have performed together several times both live and in the studio. Their relationship is more than beautiful; it is strong, sincere and much more than words. Even better, John invited EMILY JOHNSON to cross the Atlantic to join NARADA MICHAEL WALDEN, the former Mahavishnu Orchestra drummer who became one of Billboard Magazine’s Top Ten Producers of all time. “John has opened up new horizons for me,” says Emily. “He is not only a friend but also my Light.” “The Light,” as she sings on the track from OPEN YOUR HEART that she wrote and dedicated to him. OPEN YOUR HEART features some amazing performances, with NARADA MICHAEL WALDEN playing many instruments and featuring performances by Chris “Heist” Walden (Keyboards/Electronic Drums, “Open Your Heart”), Jim Reitzel (Guitar, “Open Your Heart”), and Cornell “CC” Carter and Deedee Simon (Back-up Vocals, “The Light” and “Open Your Heart”). The song “I’m Blessed” features Rapper G-Dub. OPEN YOUR HEART was recorded at Tarpan Studios by Jim Reitzel and mixed by Dave Frasier.